Let’s play a game. I’ll say a word and you tell me the first word that comes to your mind. Ready? “Idaho.” How many of you immediately thought of “potato?” Yep, me too. However, our 43rd state has much more to offer families than a yummy potato bar. Idaho boasts several natural wonders in this country. It is home to the furthest inland port for the Pacific Ocean, Lewiston, 465 river miles from the coast. Idaho shares the deepest river gorge in the United States, Hell’s Canyon on the Snake River, with its neighbors Oregon and Washington. 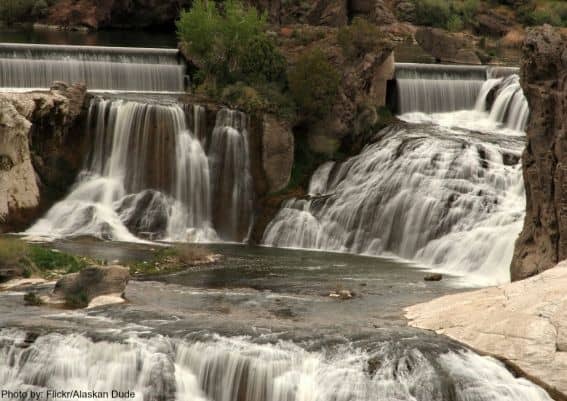 Idaho Falls’ Shoshone Falls is actually higher than New York’s infamous Niagara Falls. And, this is just the start. 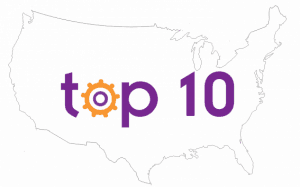 Without further ado, Trekaroo’s Top 10 things to do with families in Idaho!!! Silverwood Theme Park in Athol provides a range of outdoor options for any kind of family. With nine thrill rides, including the new for 2013 “SpinCycle”, Silverwood is sure to fulfill any thrill seekers need for speed. 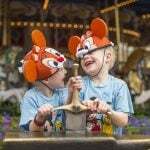 There are also 12 rides designed with the whole family in mind, as well as 9 rides for those who prefer a gentler park experience or children under 48 inches. In addition to the thrills on land, Silverwood Theme Park also is home to Boulder Beach Water Park. At Boulder Beach, families can allow older and braver kids (and parents) to travel down Ricochet Rapids or Avalanche Mountain, while the littler set plays at Toddler Springs. 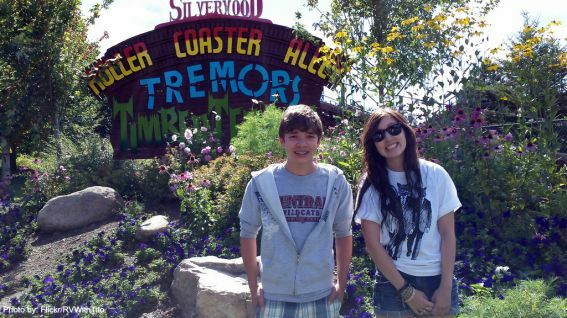 Generally open from May-October, Silverwood Theme Park is a great place to add to a Summer Bucket List. More water parks around Idaho: Lava Hot Springs Olympic Swimming Complex & Water Park in Lava Hot Springs, Roaring Springs Water Park in Meridian, Triple Play Family Fun Park and Raptor Reef in Hayden. Parks with Splash Pads: Porter Park in Rexburg, and Settlers Park in Meridian. Idaho’s largest zoo is Zoo Boise. 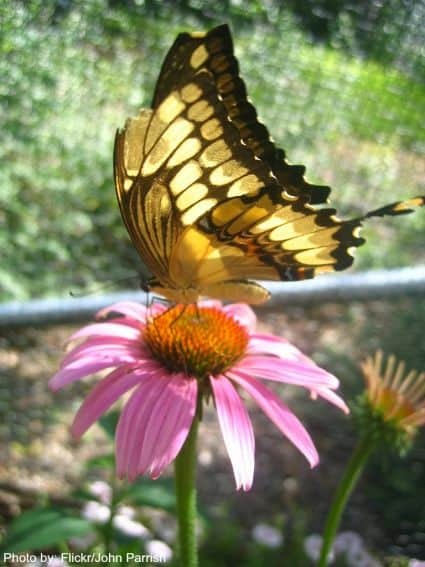 Trekaroo families love the butterfly habitat, it’s location on the Boise Greenbelt, and that it is safe for little ones. Brand new for Spring Break 2013, is the Jellyfish and African Chiclid exhibit. Zoo Boise was built along the Boise Greenbelt allowing for beauty beyond its borders. Zoo Boise is open year round. Over in Idaho Falls is Tautphaus Park Zoo. Located in the middle of Tautphaus Park, Idaho Falls’ largest park, the beautiful grounds are as beckoning as the animals themselves. Tautphaus Park Zoo is open seasonally, with a start date for 2013 of April 13th. Trekaroo families are enthusiastic about the Children’s Zoo where little ones can pet and experience life as one of the animals. Check out these kid-friendly day trips in and around Boise. 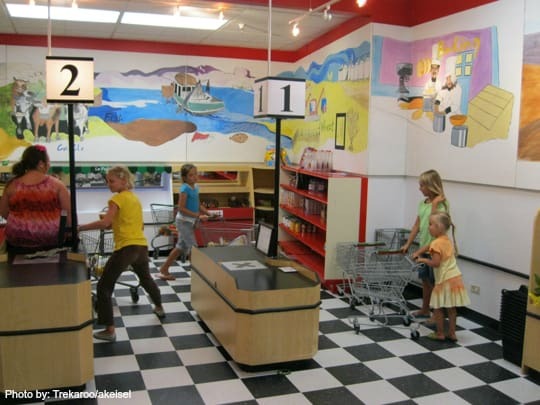 With age appropriate hands-on activities for preschoolers on up, Discovery Center of Idaho in Boise is raved about by Trekaroo families. The idea that kids can learn while playing excites kids and parents alike. Some of the not to be missed exhibits include: Freddy’s Discovery Market for the littlest visitors and the Air Brake Chair for the older crew. Discovery Center of Idaho also offers Family Science Adventures where the whole family can work together to solve science projects. Idaho has a few museums dedicated to some of Idaho’s special residents and events. A visit to the Appaloosa Museum showcases Idaho’s history with this majestic animal. In the summer, visitors can have a picnic lunch with Appaloosa grazing nearby. Boise Art Museum has a BAM|KIDS program for kids under the age of 12 and their folks. After stuffing those brains with new information, head out to one of Boise’s family-friendly restaurants to refuel. Idaho is full of railway history. Since the mid-1800’s, the railroads have been used for freight transport and passenger travel. 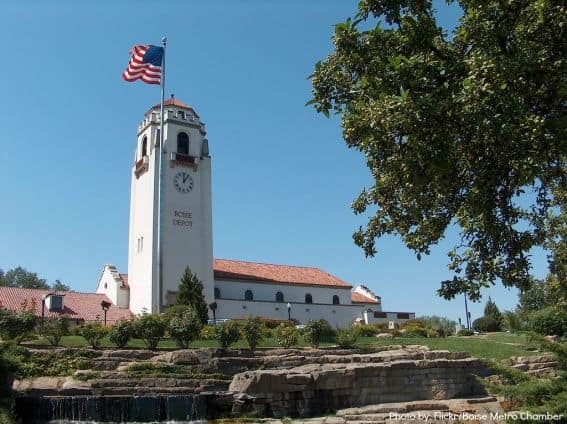 For a historic visit, check out the Boise Depot along the Boise Greenbelt. Once the train terminal for Boise, it now serves as a historic site. The public can view the depot and ride up to the tower on Sundays and Mondays. The Boise Depot is also one of the best vantage points to see the picturesque Platt Gardens and Boise. Trekaroo families enjoy being able to let kids explore the grounds and park setting. To ride the rails, travel from Boise up to Horseshoe Bend to the Thunder Mountain Line. The only scenic train in Idaho, Thunder Mountain Line offers several different themed train rides and two routes depending on what time of year you visit. A featured family event is a special ride for Mother’s Day in May. For another way to experience Idaho’s railroads, wait until you see our #1 “must-see” for families. When we think of humans visiting animals, usually we think of exotic animals in a zoo, brought in for education, support, and protection of the animals just like the beautiful ones we wrote about in #9. 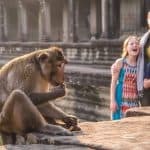 Idaho’s zoos are a mix of just that with an added local flair with an additional place to encounter animals in a more unusual way. Yellowstone Bear World in Rexburg, Idaho gets visitors up close and personal with the bears of the region in several different ways. With your admission, you get access to drive the grounds in search of the bears, the petting zoo, and the park’s amusement rides. 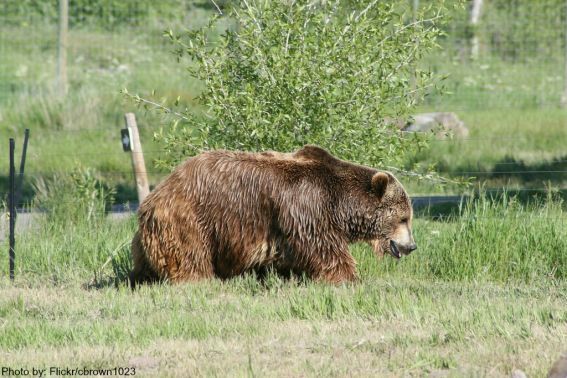 Yellowstone Bear World also has experiences that can be added onto the admission price. These include a cub bottle feedings three times a day in which both children and adults can participate. There are also tours with one of Bear World’s curators to bring the public even closer to the adult animals of the area. Bear World is a seasonal activity, so please call ahead to make sure that you won’t be disappointed. For the 2013 season, Bear World will be open mid-April for weekends and mid-May for daily visits through the summer. Check out more Trekaroo approved places to see in Rexburg! Idaho has so many large rivers and the people of Idaho have settled near them. 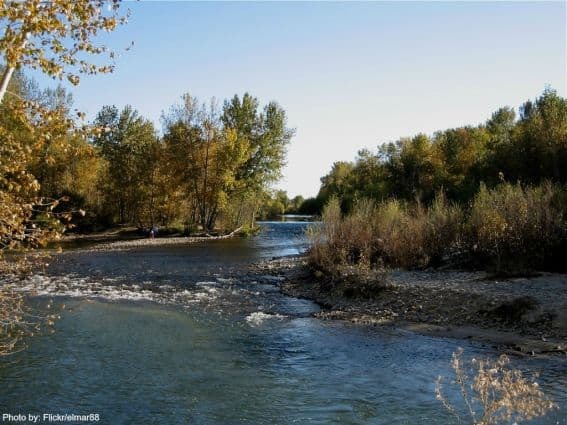 In recent years, in both Boise and Idaho Falls, these waterways have been able to be used by people wanting to get outdoors in the form of greenbelts. Boise Greenbelt is a 22 mile paved walkway used for all types of activity: walking, biking, inline skating, and commuting. The Boise Greenbelt is a fantastic way to see wildlife, get out into nature in a safe way, and have fun as a family. Located alongside the greenbelt is the Morris Knutson Nature Center complete with an interpretative center. Trekaroo families really enjoy the StreamWalk where kids can explore the same type of experience as on the greenbelt, but in a controlled environment. Meanwhile up in the north, the Idaho Falls Greenbelt is a 6 mile paved trail along both sides of the Snake River. The greenbelt takes visitors up to the 20 foot waterfall. The greenbelt also has access points along its path, allowing visitors to make their walk as far as that particular group is willing to go. Check out these kid-friendly hotels in Idaho Falls. 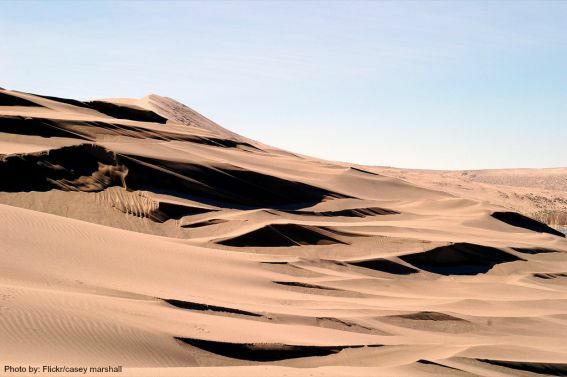 Located about 45 minutes from Boise are the sand dunes of Bruneau Dunes State Park. Approved for climbing, but not off-roading, families love being able to let the kids run free up and down the dunes. While it is known for the incredible dunes nowhere near coastal beaches, Bruneau Dunes is also home to one of the only two public observatories, perfect for stargazing. As with any other desert location, please pay attention to the forecast and plan accordingly. After getting all sandy, head over to Sandy Point Beach to wash off in the water. It’s always fun to share with kids some of nature’s most interesting vistas. Idaho has her fair share. 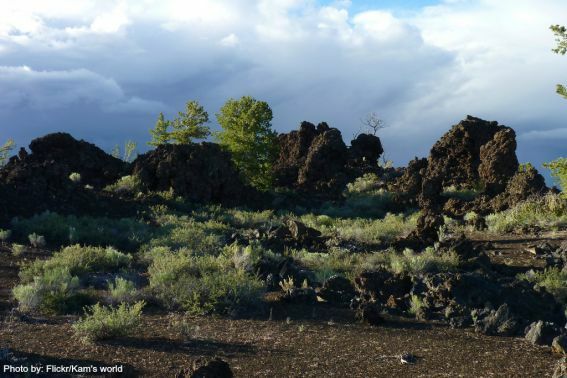 Craters of the Moon National Monument in Shoshone is one such place. Instead of creating mountains like so many of its tectonic and volcanic neighbors, the forces at Craters of the Moon worked to create miles of flattened lava fields. Brimming with these lava beds and underground caves, it was once visited by astronauts in order to get an idea of what to expect when visiting the moon. The National Park Service has made many of the areas accessible with paved trails good for both those with mobile limitations and strollers. Make the visit more interactive by getting children to participate in the Geo-Rangers program. Trekaroo families appreciated the uniqueness of the area. There is sparse shade, so please plan accordingly. Have you visited one of Idaho’s National Monuments? Share your story with us! Moving north, Shoshone Falls Park, outside of Twin Falls, is another of Idaho’s surprising natural phenomenon. At 212 feet high and 900 feet wide, Shoshone Falls along the Snake River, is actually a higher waterfall than Niagara Falls in New York. It is a seasonal event nowadays due to irrigation needs in the farming community as the year progresses. Expect larger flows in the spring and early summer. Check Twin Falls website to find out the current flow rate. We love the hiking paths in the area, as well as the proximity of picnic tables and a boat dock into the river. Places to stay in Twin Falls! As Idaho has become more populated, and the realization that visitors to the area want to see Idaho’s nature as close as possible, there have been several bike trails created throughout the state. 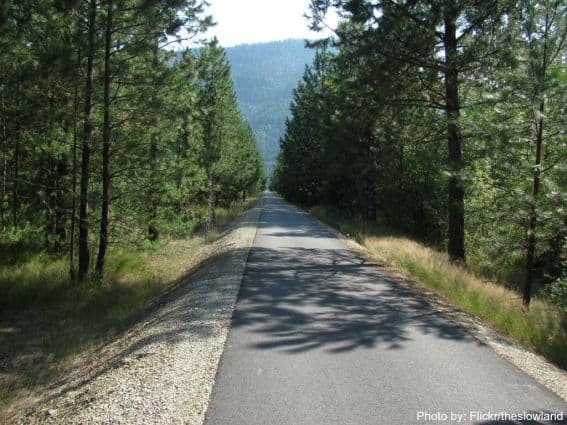 The Trail of the Coeur d’Alenes has 71 miles of paved asphalt trail suitable for biking, walking, and rolling through the mountains along Silver Valley. The Trail is open year round. Within the North Idaho Centennial Trail, a 24 mile multi-purpose trail, is the 5.7 mile Couer d’Alenes Parkway that takes travelers along the Northshore of Lake Couer d’ Alenes. 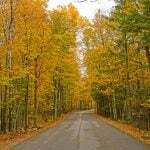 For the more adventurous, the Hiawatha Trail is a 15 mile one-way packed gravel trail. Perfect for hybrid and mountain bikes, the trail moves through 8 tunnels and 9 trestles, making it a varied and interesting ride. The Hiawatha Trail has bike rentals available at the trail head, and a shuttle available at the end if a 30 mile round trip trek is a little much for your crew. 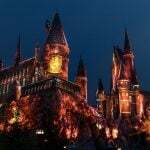 It is a seasonal activity, usually opening in late May. 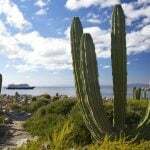 Families enjoy the views, and the availability of restrooms. They also recommend bringing a bright bike light for the tunnels. Share your reviews of additional bike rental locations near these amazing trails! We need to spend more time in Idaho! So much to love about Idaho! We are headed there tomorrow–to Hayden Lake (close to Coeur d’Alene) can’t wait! Kate, Hayden is so close to Coeur d’Alene the only way you know you have gone from one city to the other is by the signs! Have fun while you are here!! Great article but 7. is missing a VERY LARGE piece of Idaho train information. Sandpoint, ID is one of two train funnels in all of the United States, where sometimes more than 70 trains go by daily. It is also the only Amtrak stop in all of Idaho with a historic train depot which is being restored with the help of BNSF and Amtrak. Rail fans flock to Sandpoint to see trains cross the scenic Lake Pend Oreille and nestle against the Selkirk Mountains. In the late 60s, I had 3 children, worked a lot of hours, had a hard earned chance for a vacation , we thought Sunvalley? Caiied to see about a room, and for the price, the idiot replied that “if yuou have worry about the cost, then do not bother to come up,”, I replied, thats OK as now I could care less if I visited Sunvalley, and specially not to see an ignoramous as you. I have lived in Idaho since 1936, mostly worked in, , you paople in 3 years have probably seen more of Idaho than I in 50 years, so please do not be judgemental, keep Idaho beautifull. and not used and abused, and just leave me alone..
Sandpointier! Wow – so good to know. I know where we’ll be recommending for train loving kids! Jamie Lynn Morgan. I hope you’ll share reviews of your beautiful state. Nothing like getting the local scoop! Yeah! Its looking great. But There are more things to do in City.